You already know how to hold a pencil right? Maybe not. 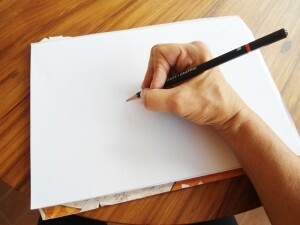 Holding a pencil to draw is not the same as if you are writing. It is important to re-evaluate how you hold your pencil and learn some new strategies. 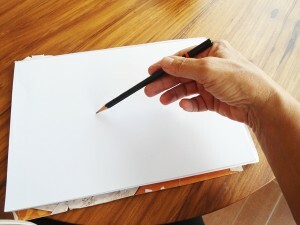 When you hold a pencil to write, the movement comes from the fingers and the wrist. This is an extremely limited range of motion. 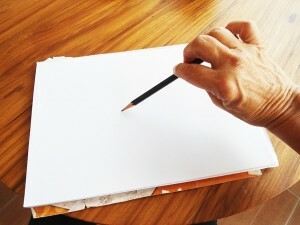 There is also a good chance that your palm rests on the paper further restricting your movement. Try some new pencil-holds. Don’t “choke up” and keep your hand well away from the point. Use your arm rather than your hand to make a variety of lines. Start with light lines. Now make darker lines. Keep the pencil at an angle and let the pressure at the tip keep your hand steady. If this technique is a new one, you may feel a little “out of control.” That’s a good thing!! Being out of control is good for artists and you’ll get comfortable with it soon enough. Exercise: Draw for a few minutes making lines as light as a whisper. 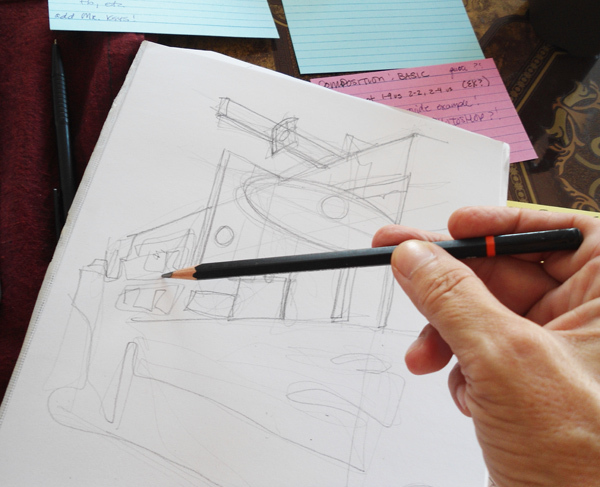 After a time, increase the pressure of your pencil making darker lines and “overriding,” reinforcing, or changing the lighter lines underneath. Finally go back to the “writing” pencil hold and work on a small area using some detail. Feel the difference in the control. Go back and forth between the two pencil-holds. Both are useful! This entry was posted in All, Art Lessons on June 11, 2015 by artconsp.